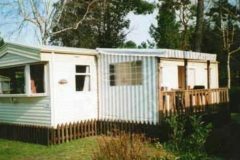 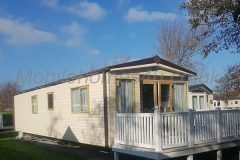 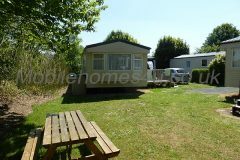 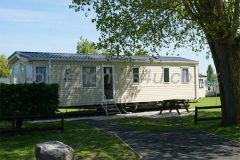 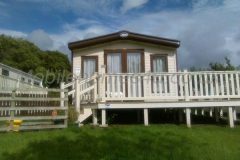 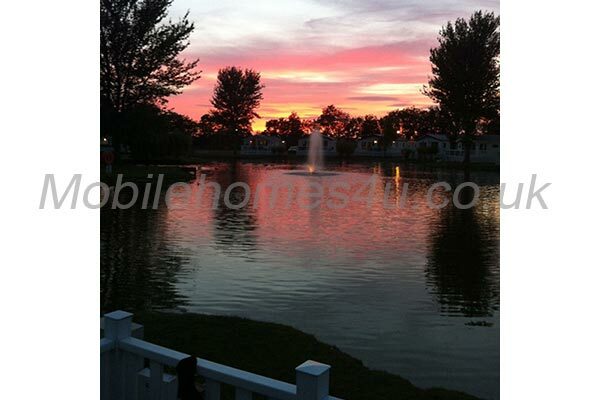 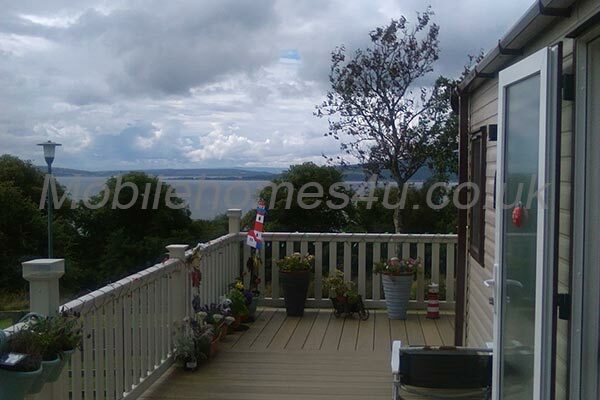 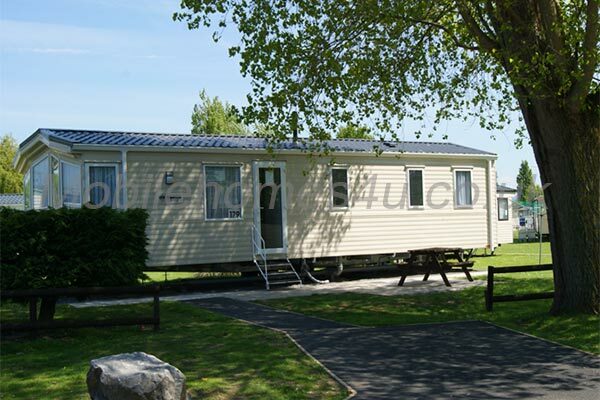 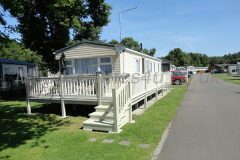 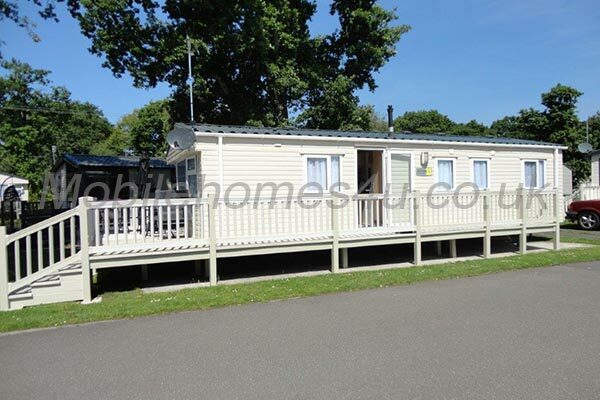 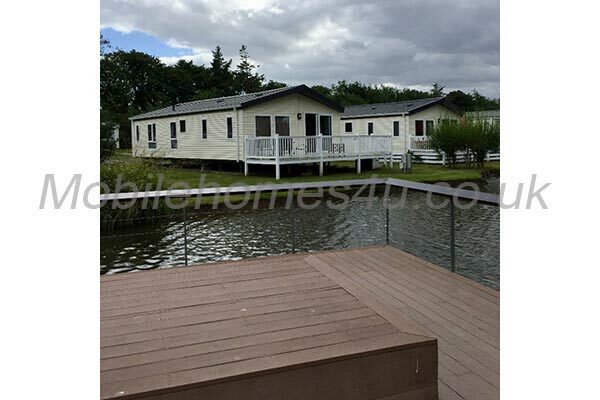 A lovely mobile home situated in quiet plot on the superb Bois Dormant site in St Jean de Monts, Vendee. 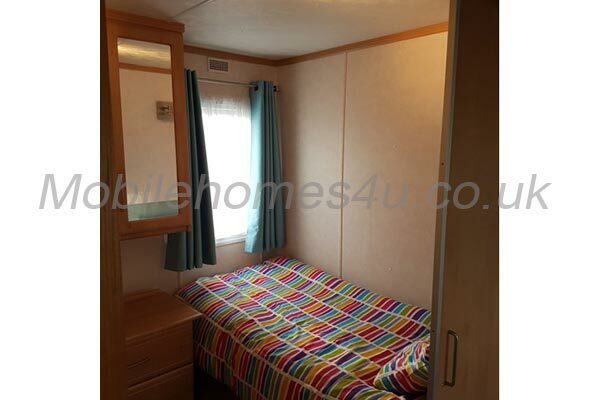 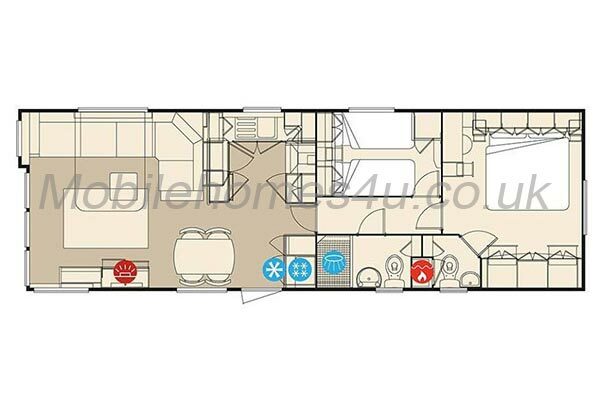 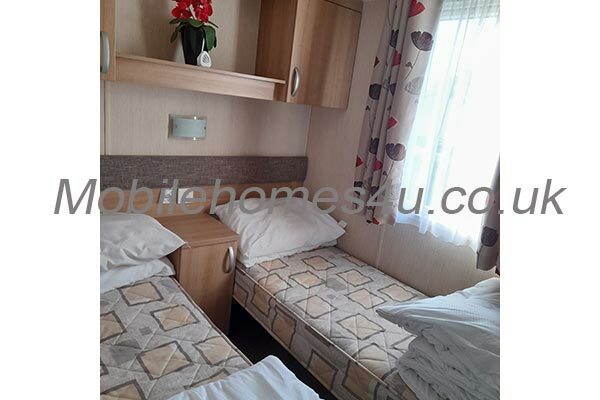 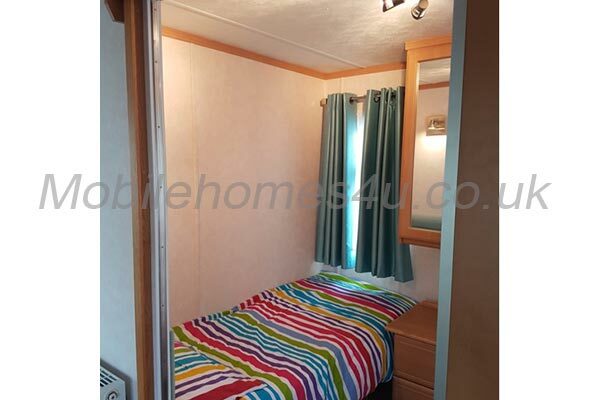 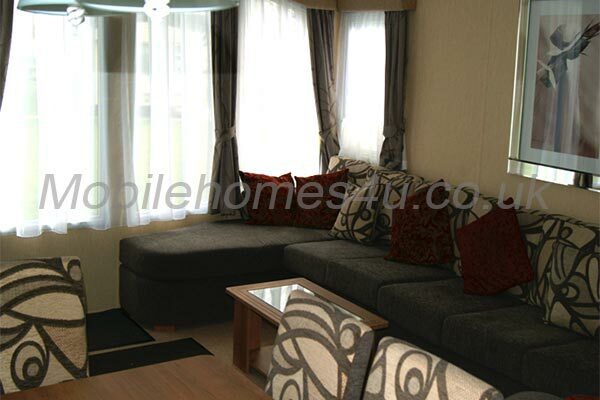 This family owned ABI Arizona is a spacious 35×12 feet with 3 bedrooms, but can accommodate 8 people. 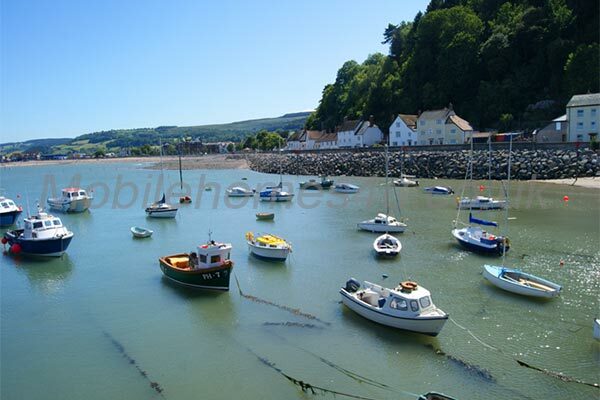 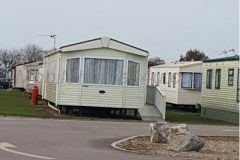 We keep our prices low so you may have a great holiday (see the weekly charges made by the campsite to use our home – very expensive). 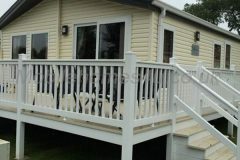 Please don’t hesitate to contact us (Andy or Jacki) for an informal chat. 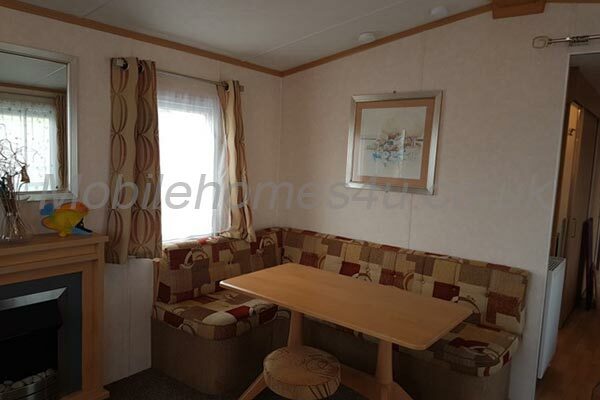 The living room is comfortable with wrap around seating and dining area. 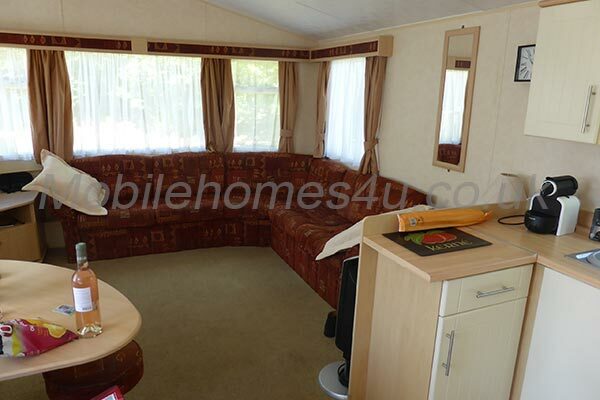 There is a radio and TV/DVD combi provided. 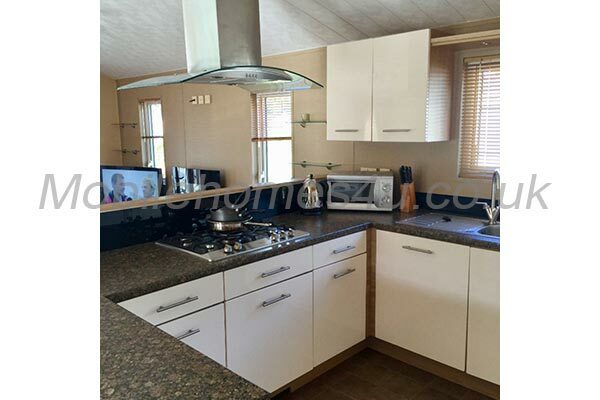 The kitchen is well equipped with fridge/freezer, microwave and oven with grill. 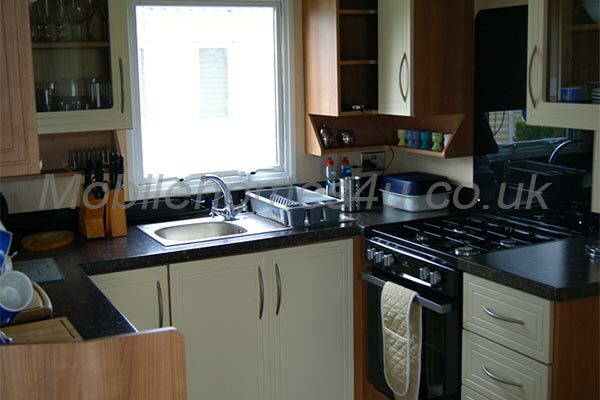 Sufficient kitchen equipment, crockery, cutlery, glass wear and utensils are provided. 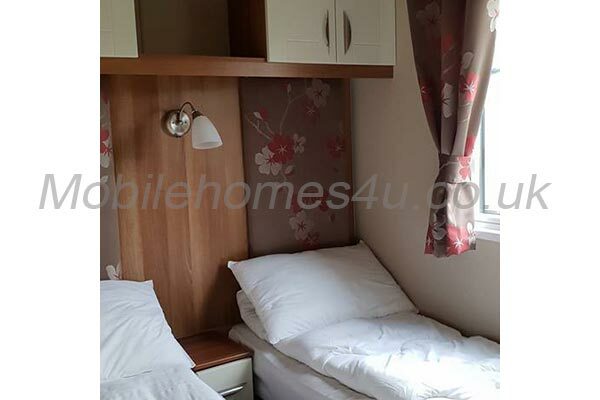 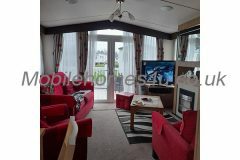 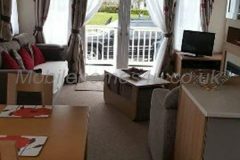 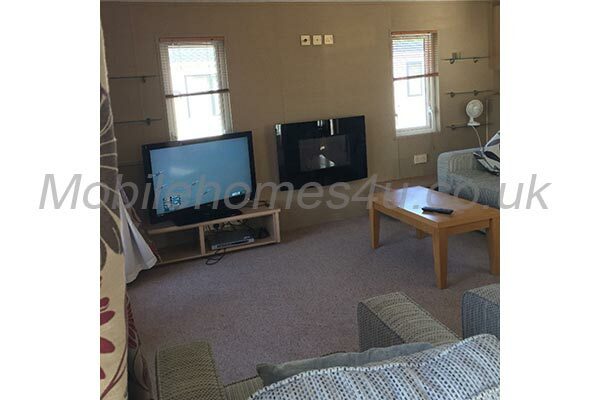 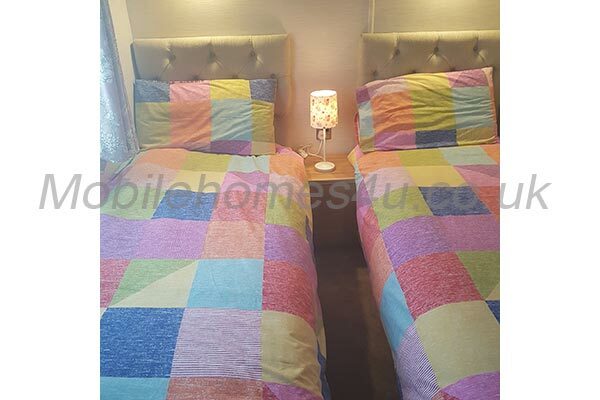 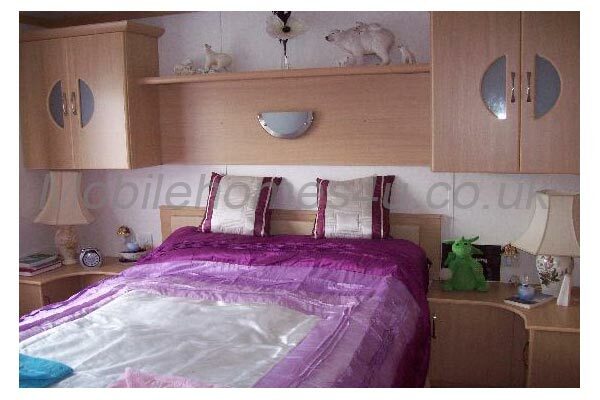 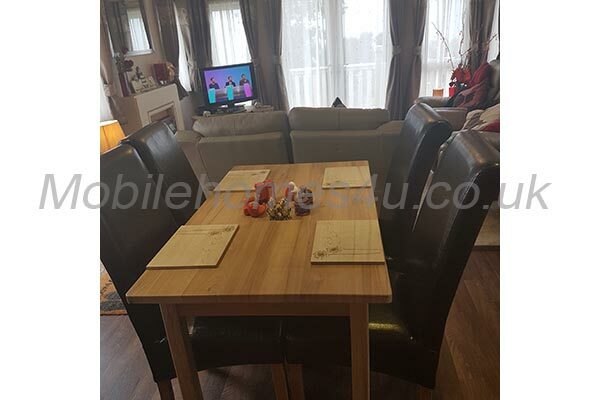 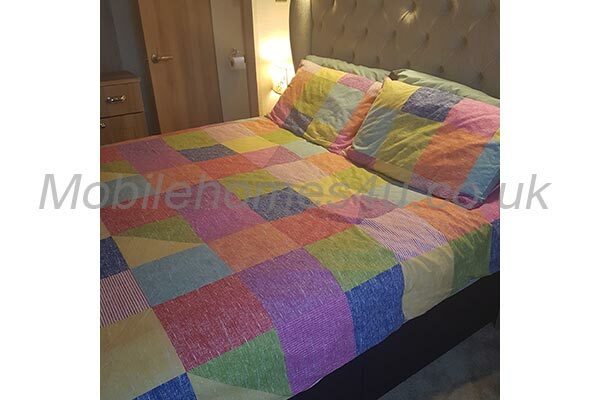 There is 1 double bedroom, 2 twin bedrooms and a pull-out double sofa bed in the living area. 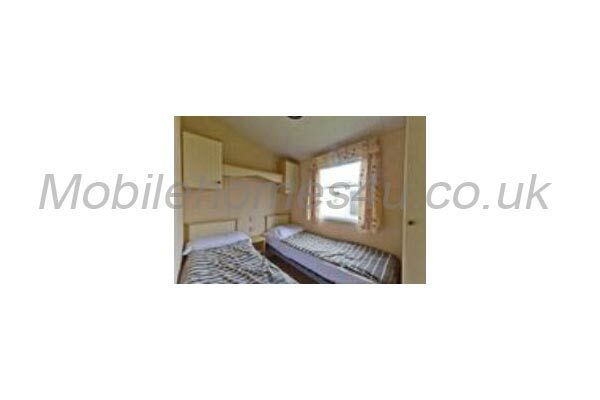 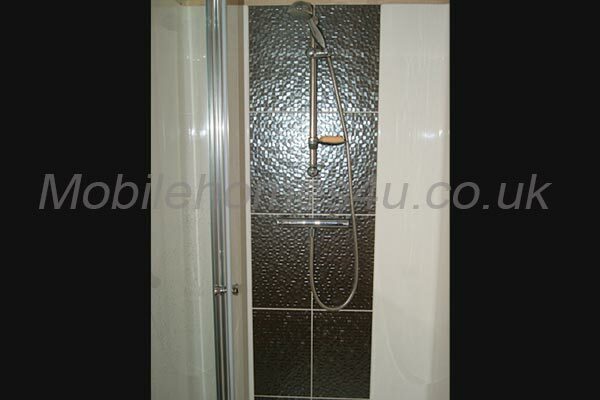 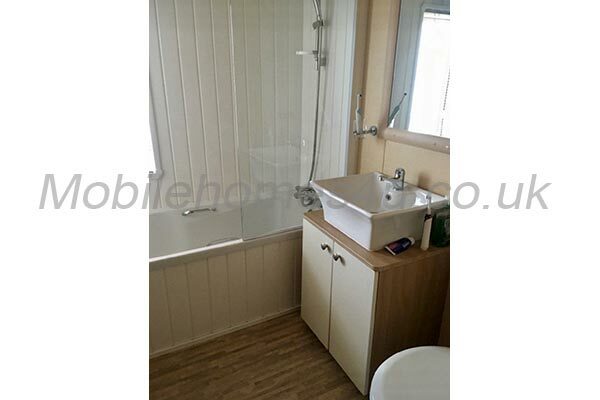 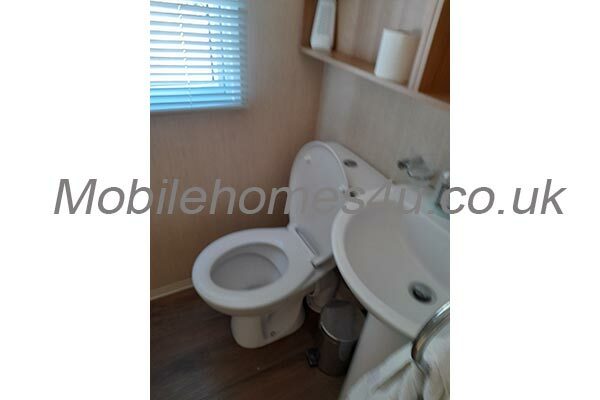 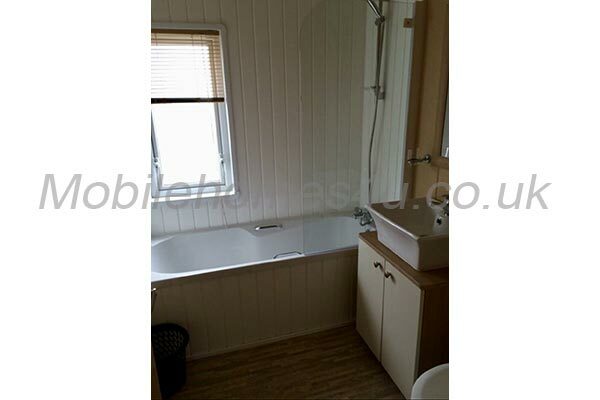 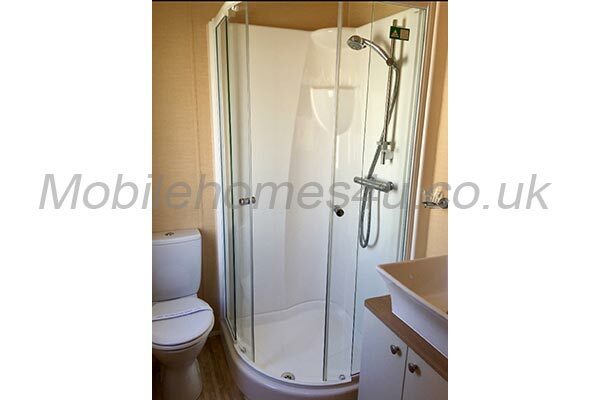 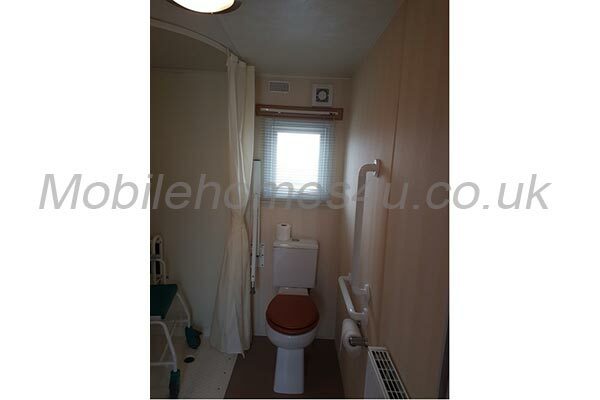 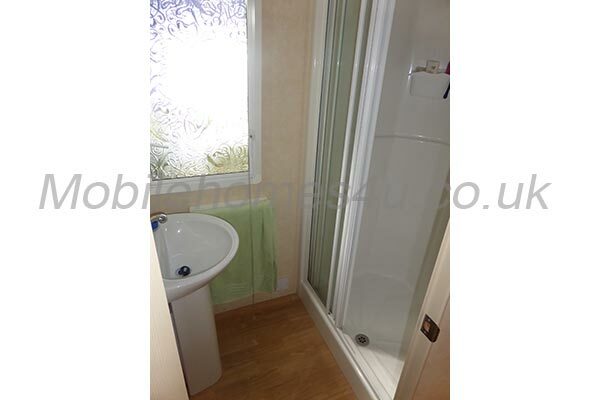 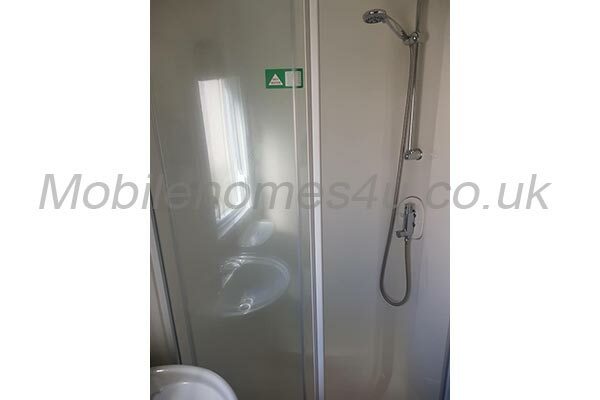 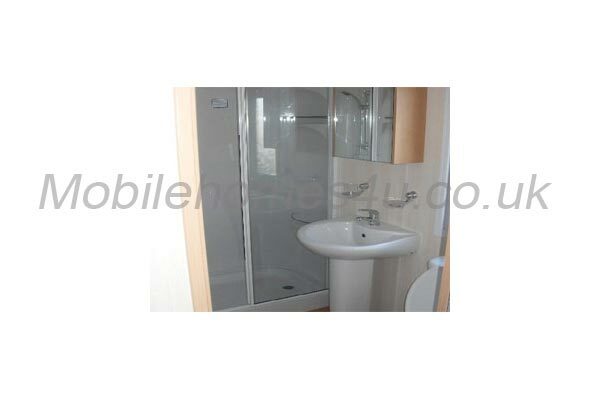 This accommodation includes a shower room with toilet and wash basin. 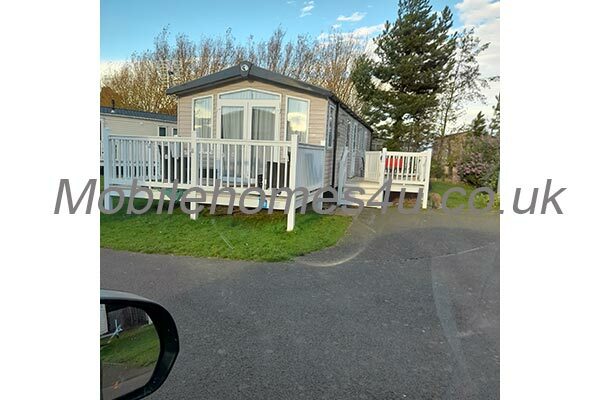 There is a car parking space in front of the caravan. 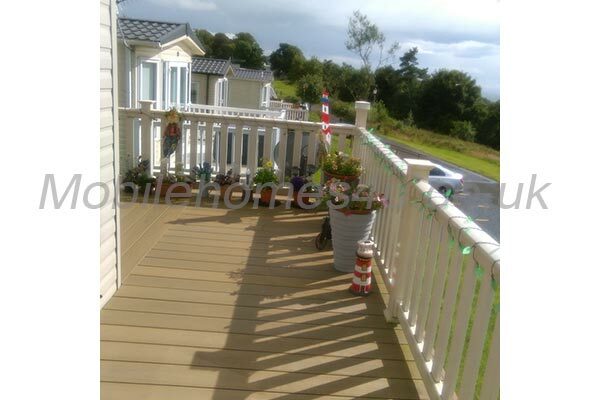 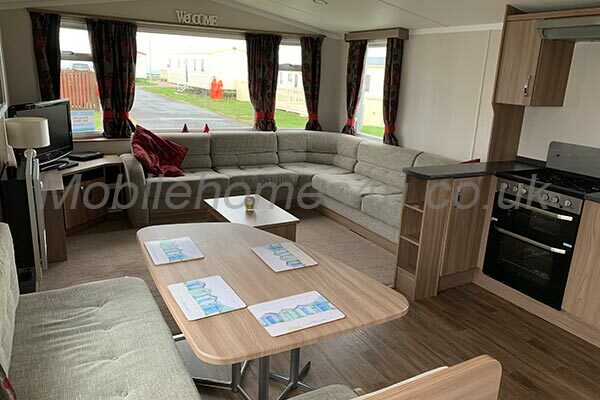 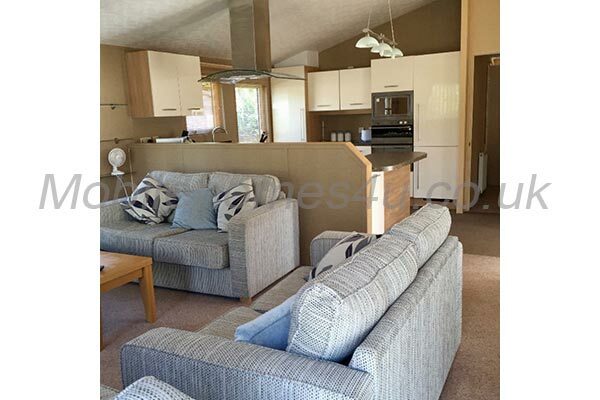 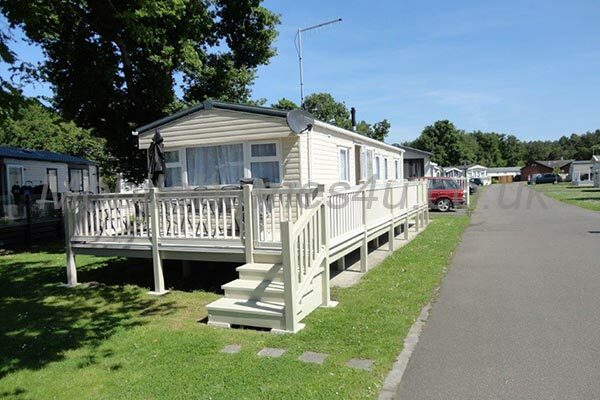 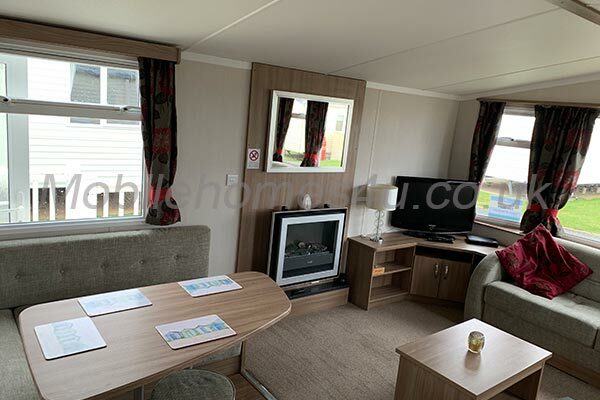 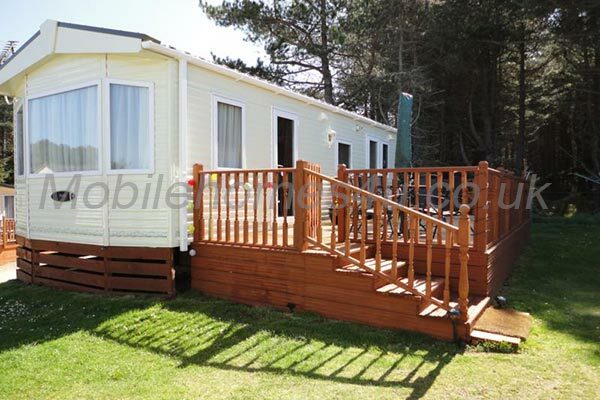 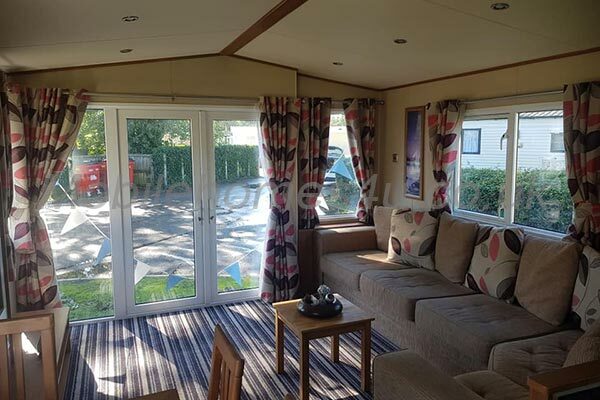 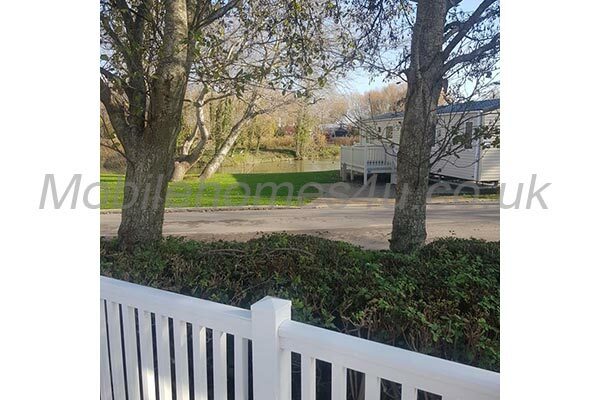 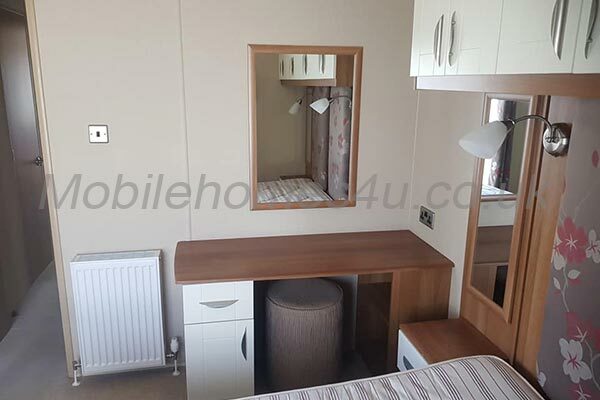 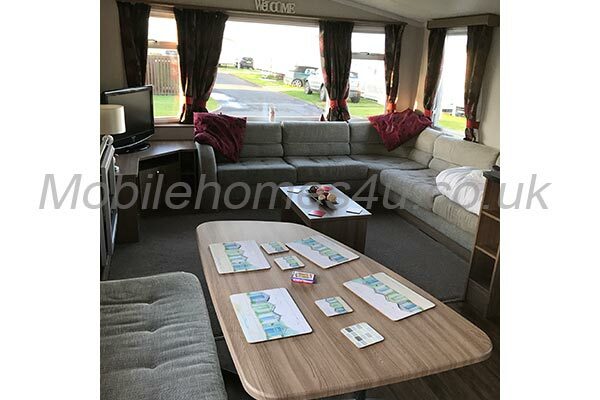 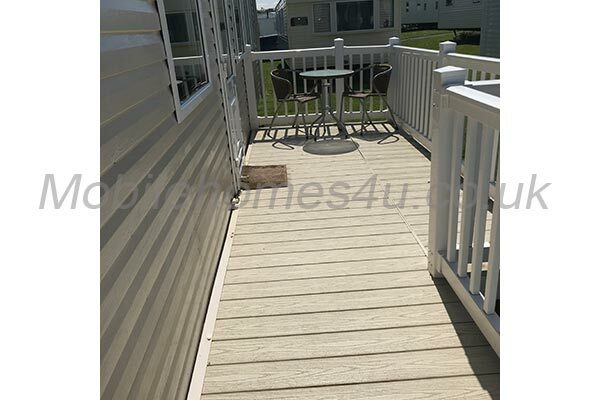 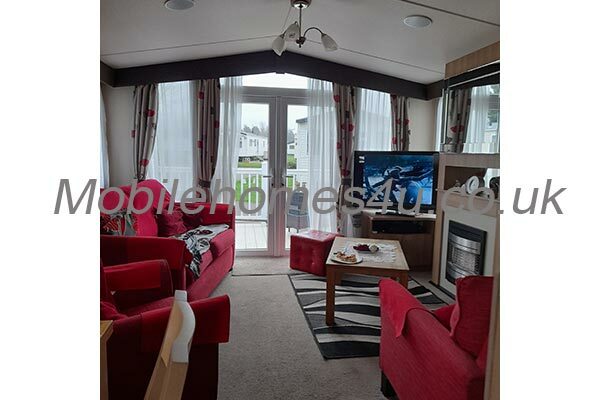 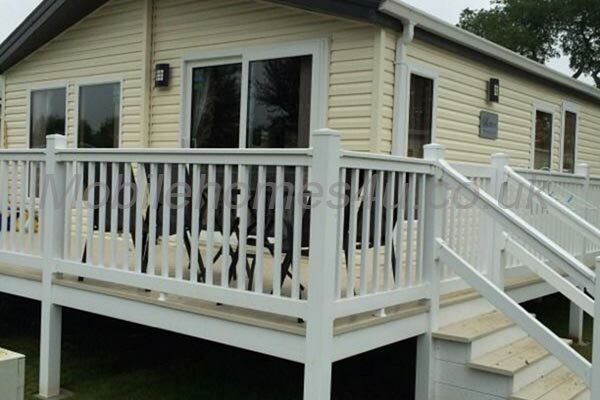 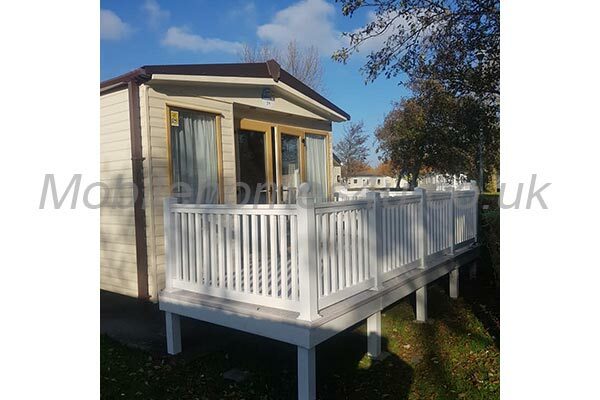 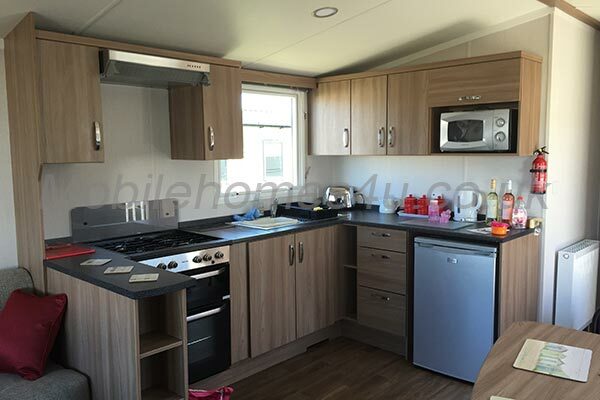 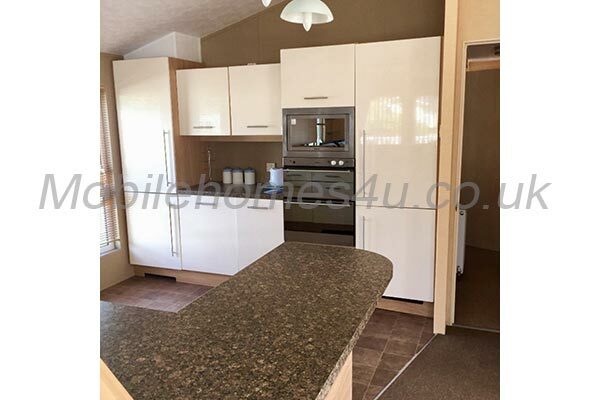 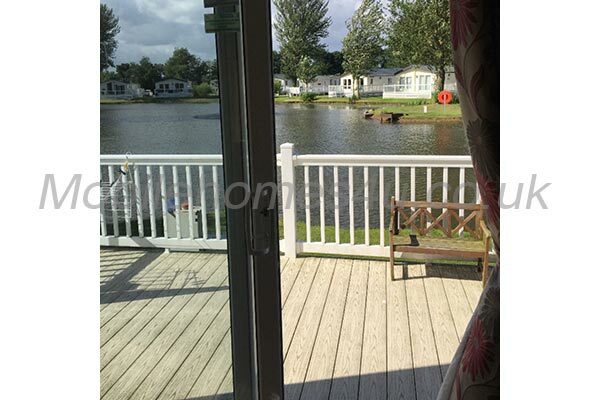 The caravan benefits from a covered decking area giving an additional outdoor living space, and a gas BBQ and outdoor furniture and loungers are provided. 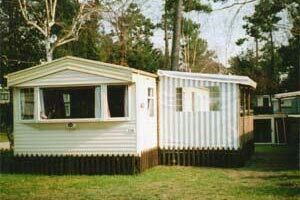 There is a lock up shed with cool boxes, parasol, and sports equipment which you may use. 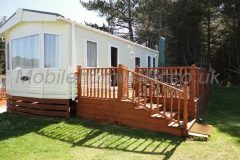 Please replace if damaged or lost. 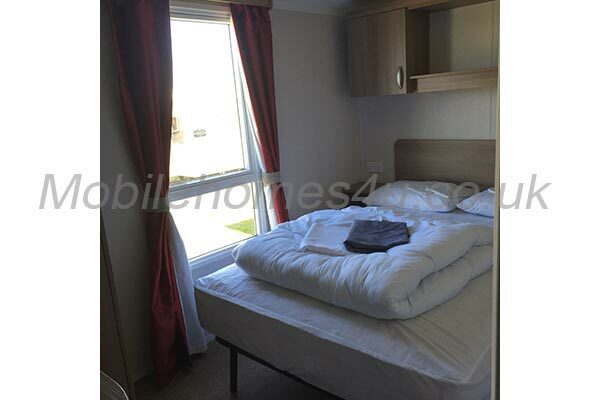 Duvets and pillows are provided, but NOT bed linen or towels. 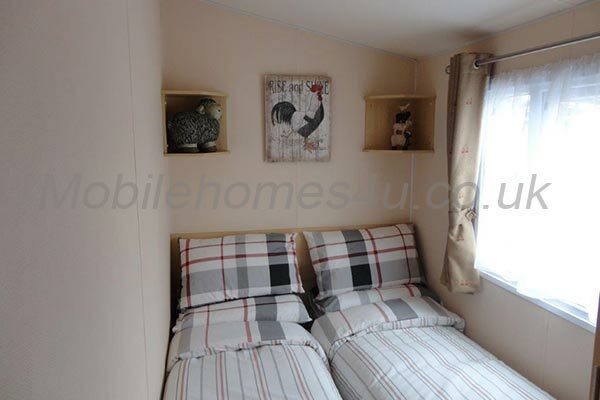 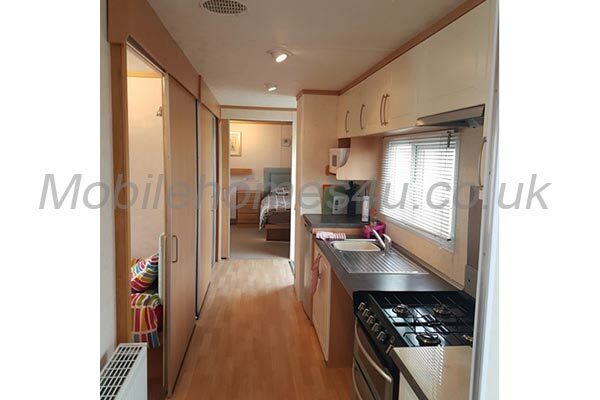 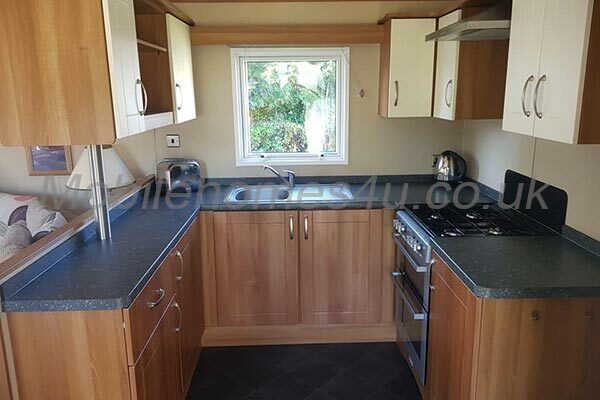 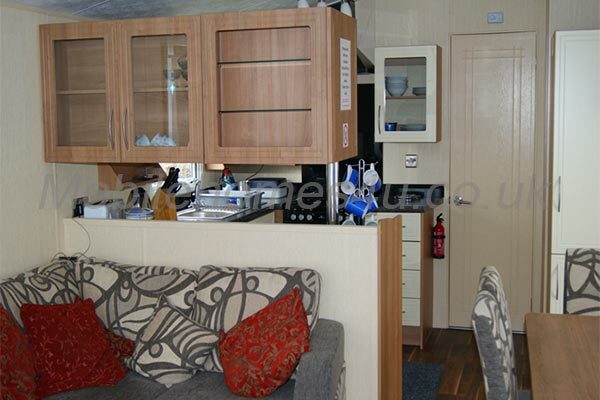 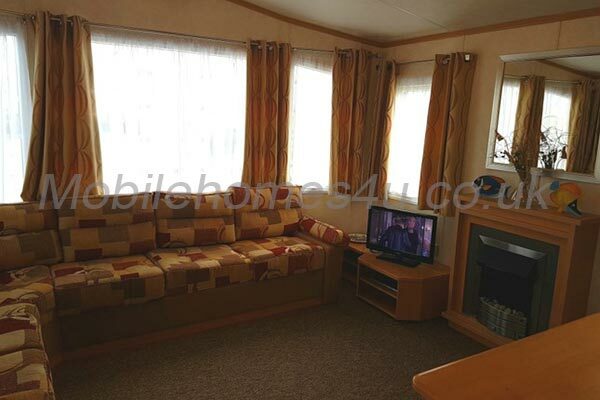 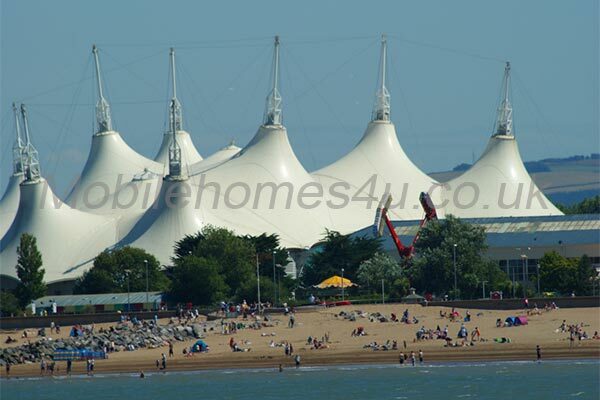 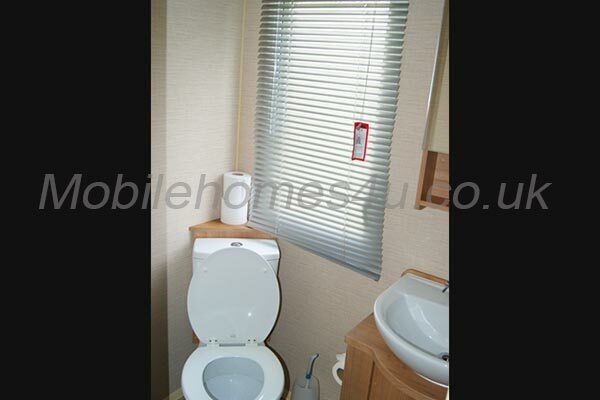 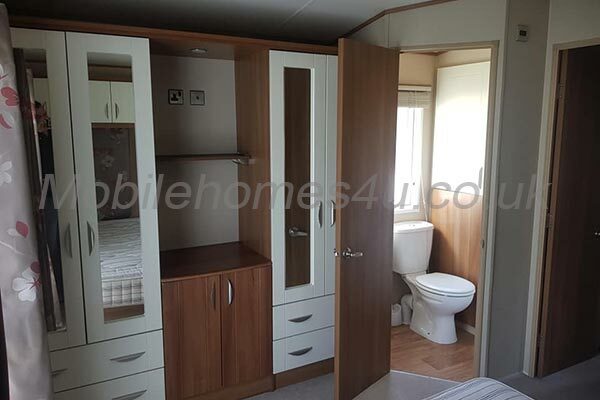 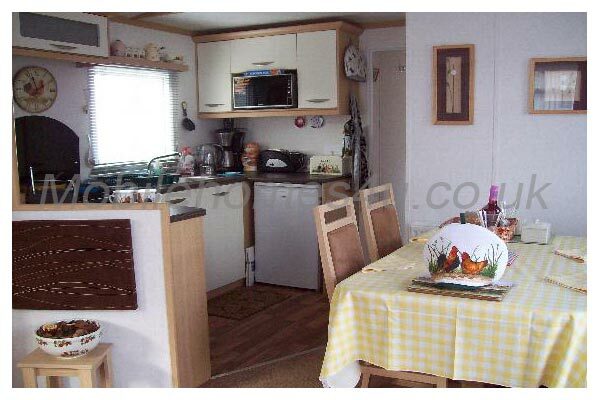 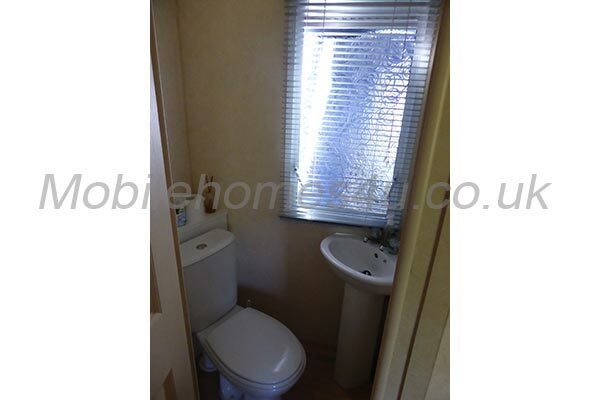 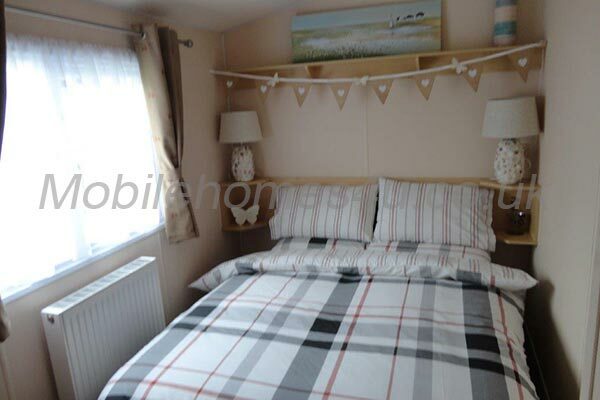 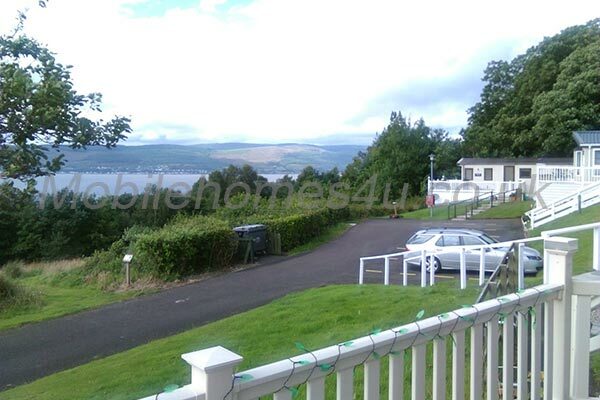 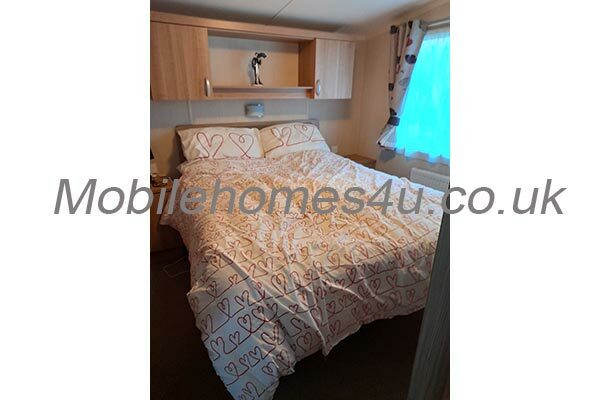 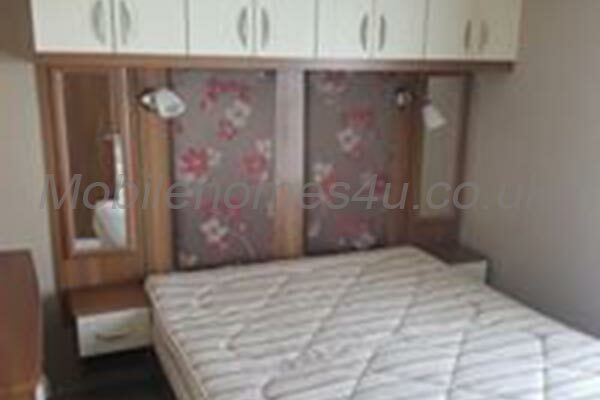 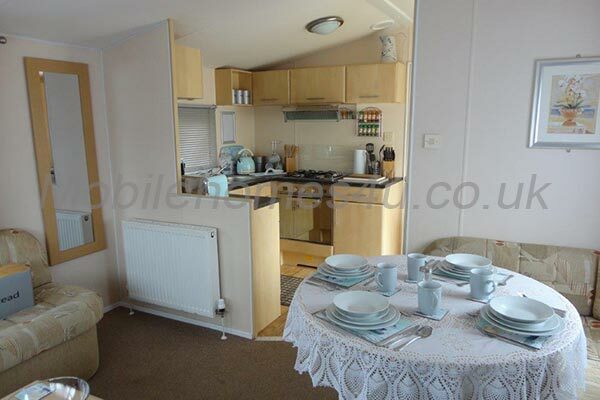 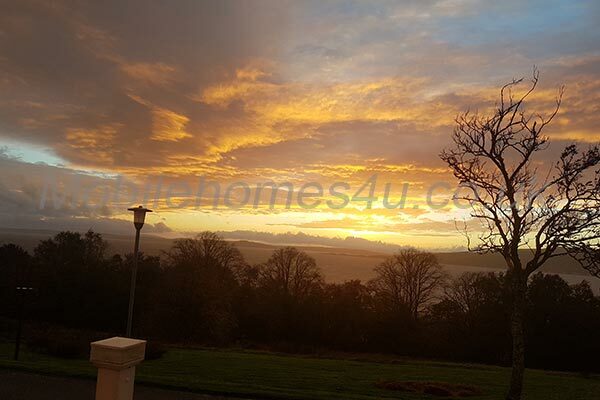 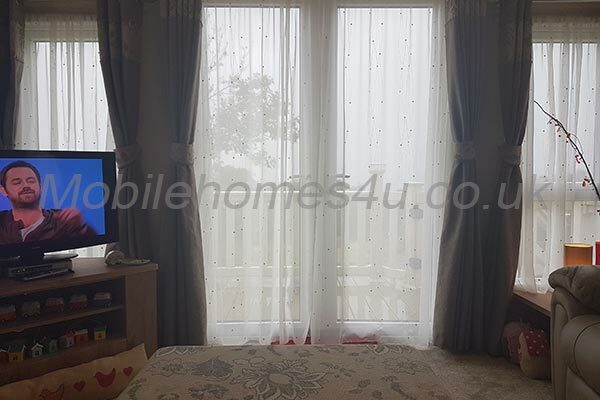 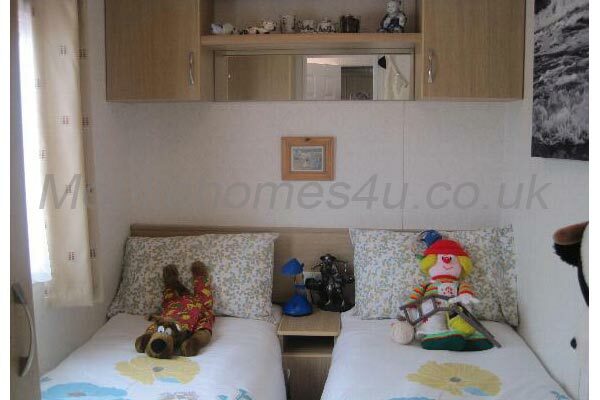 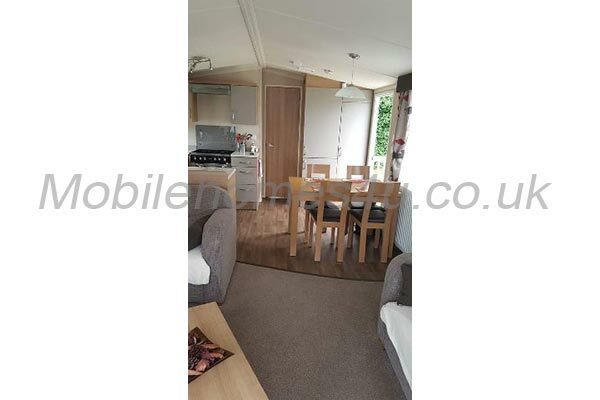 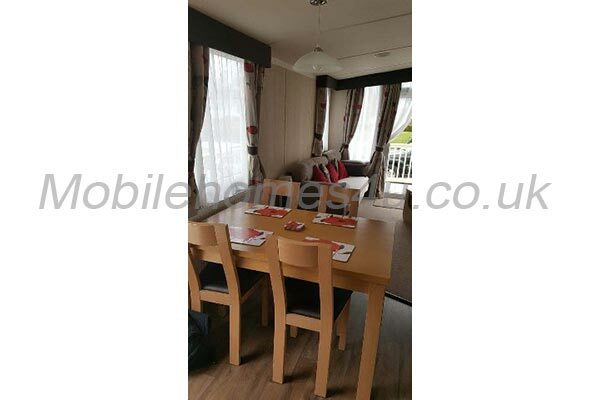 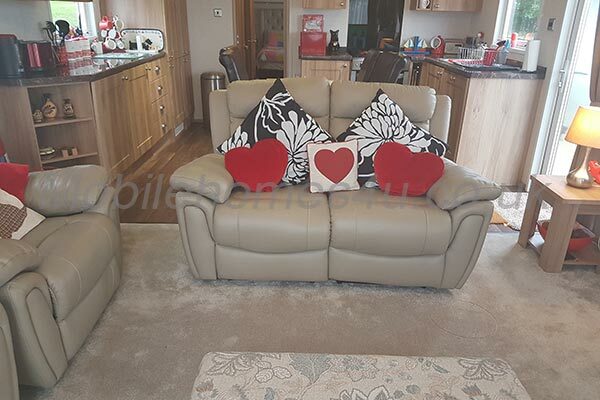 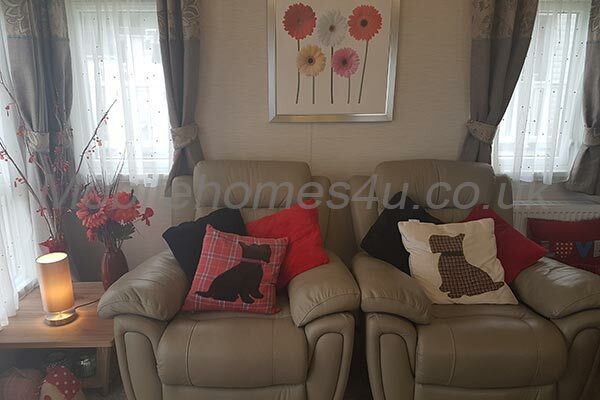 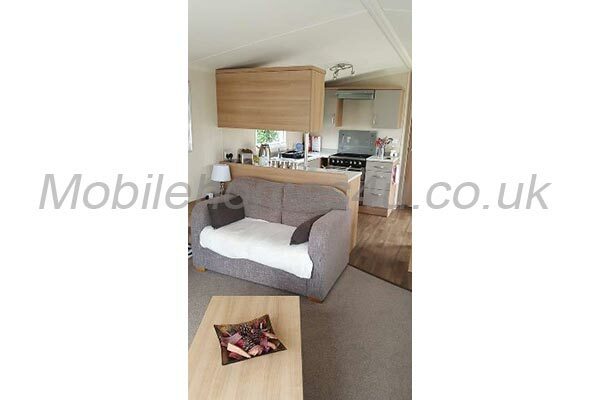 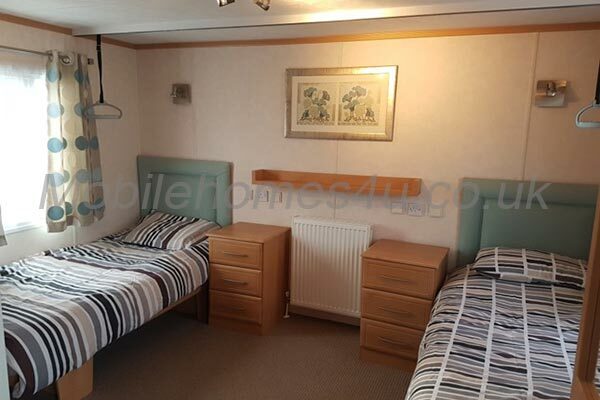 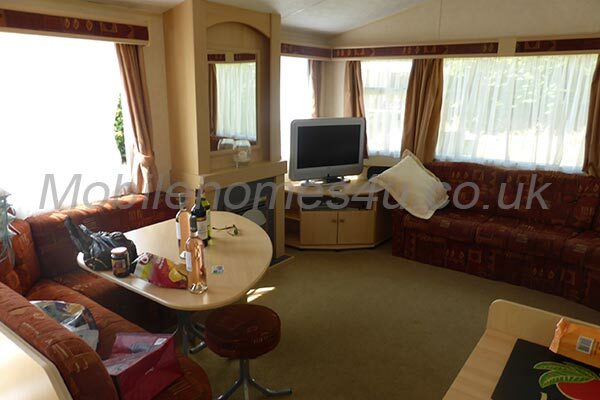 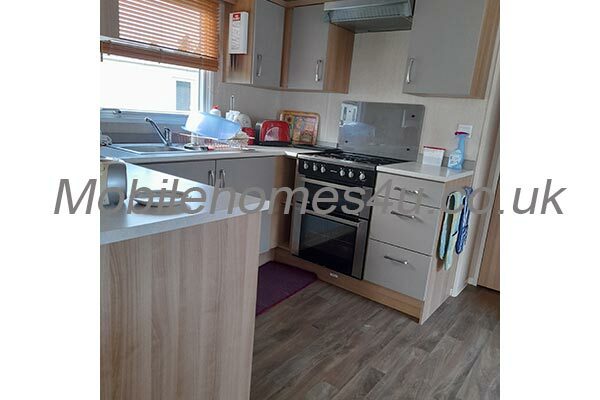 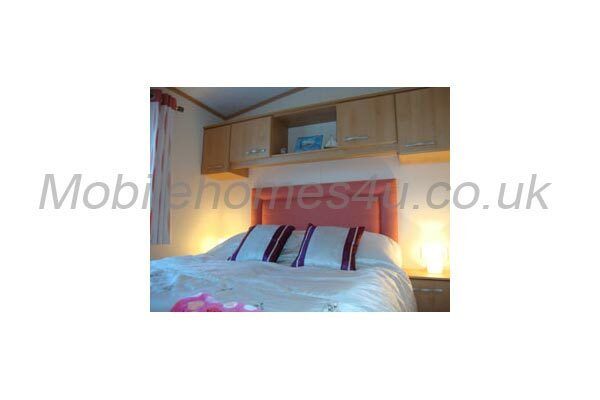 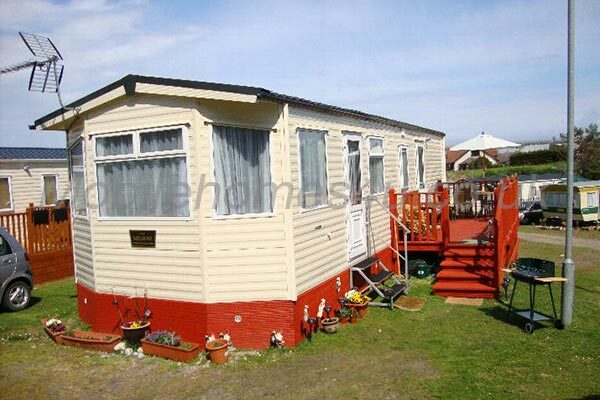 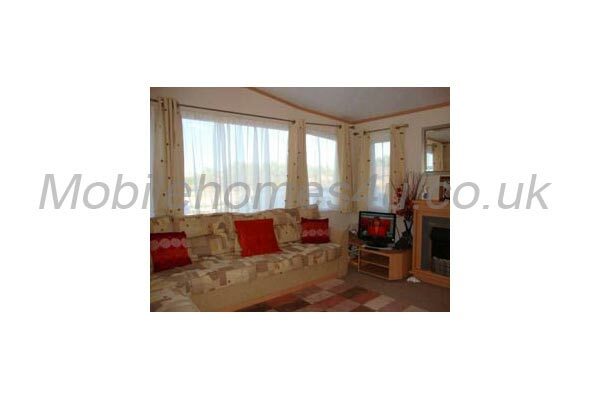 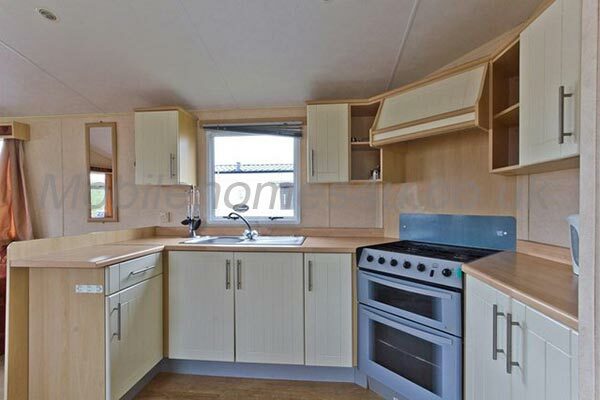 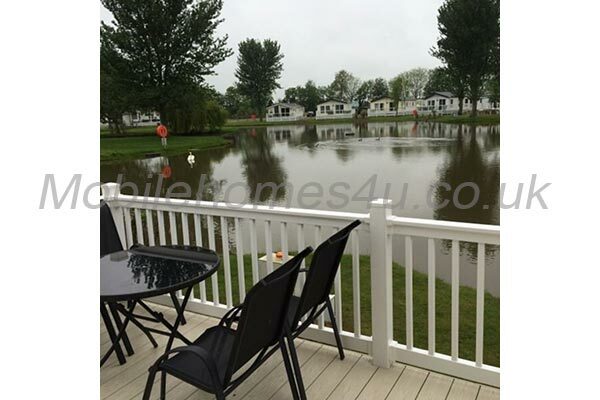 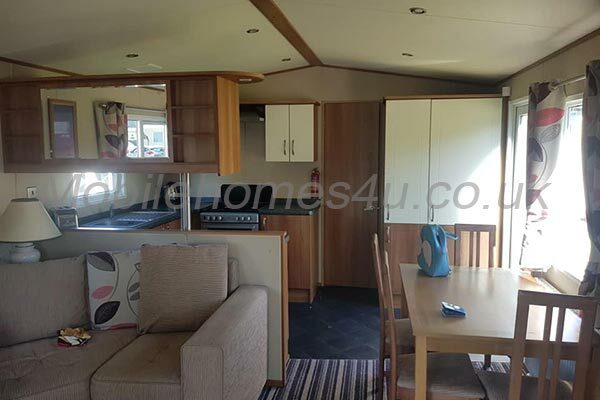 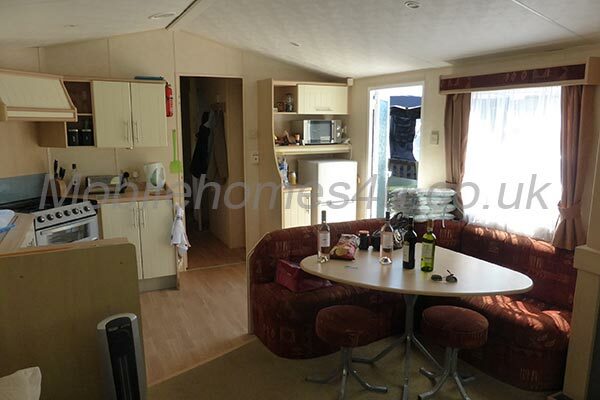 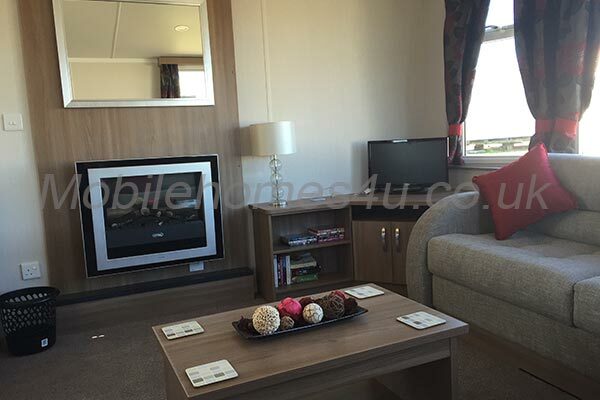 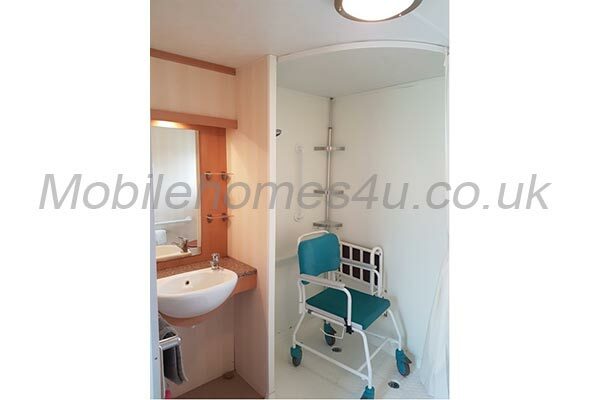 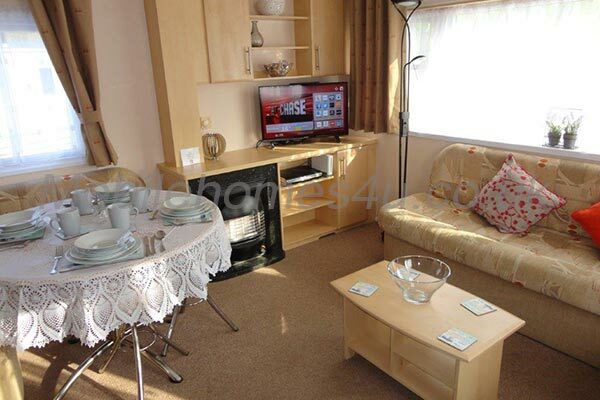 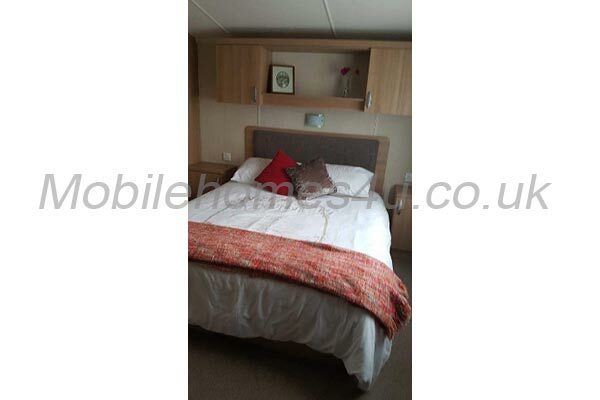 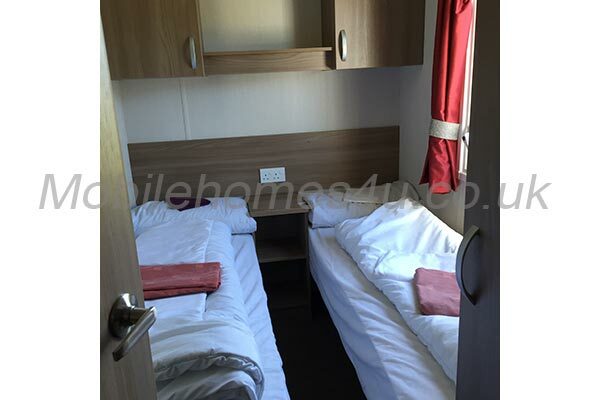 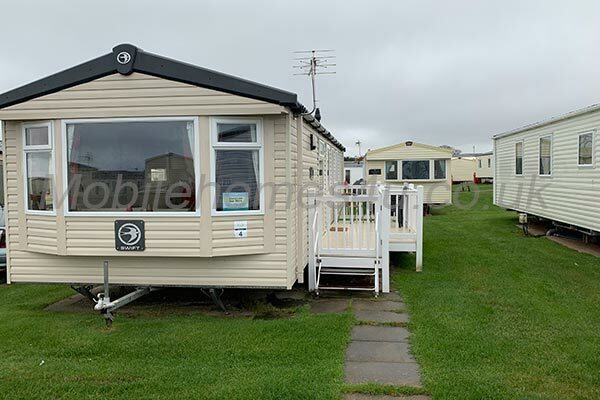 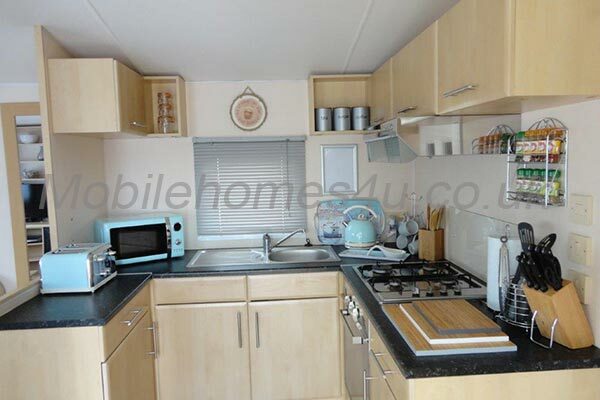 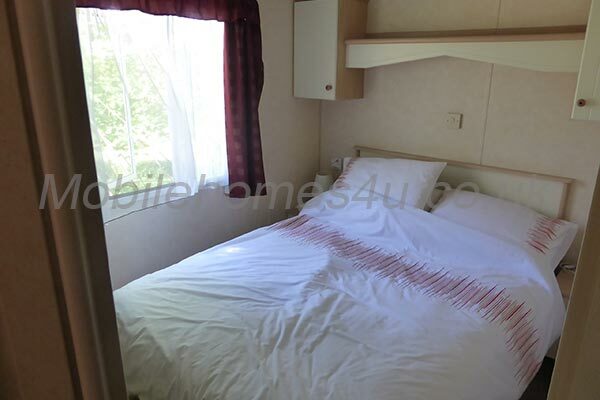 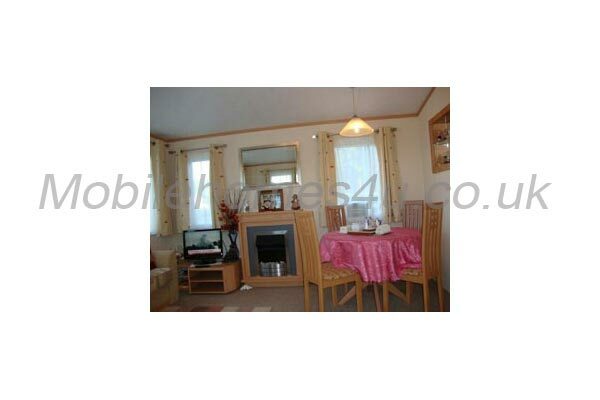 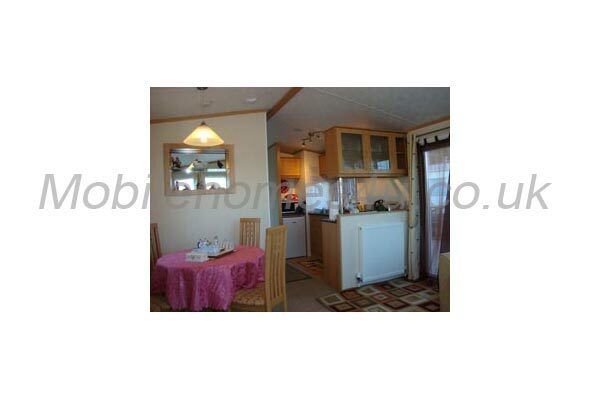 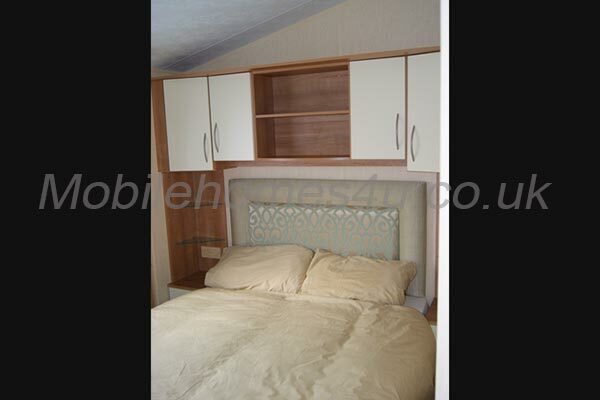 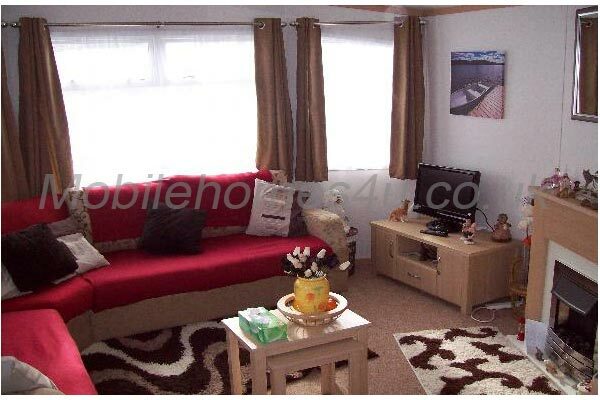 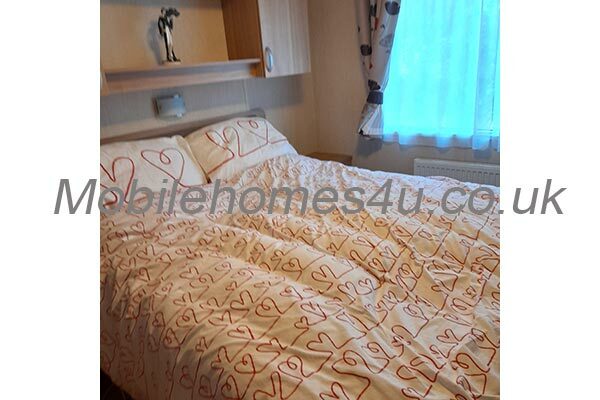 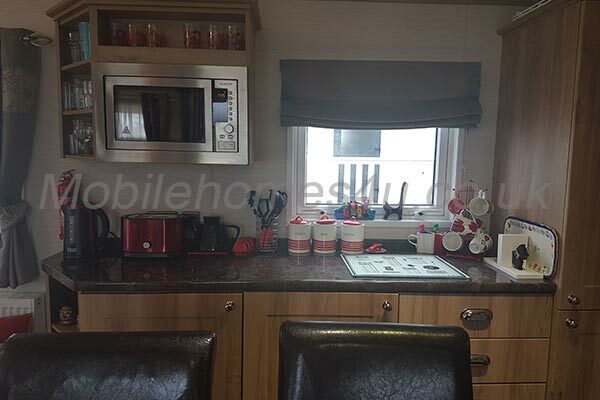 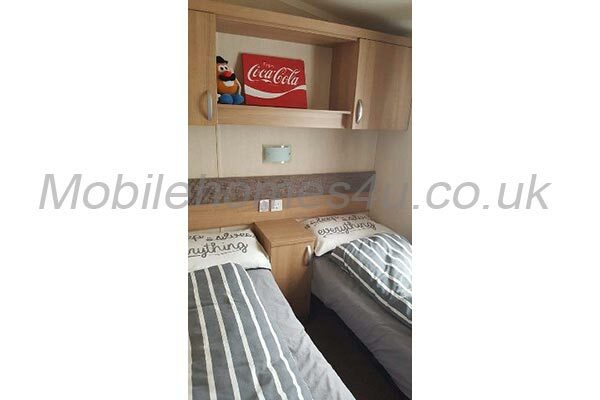 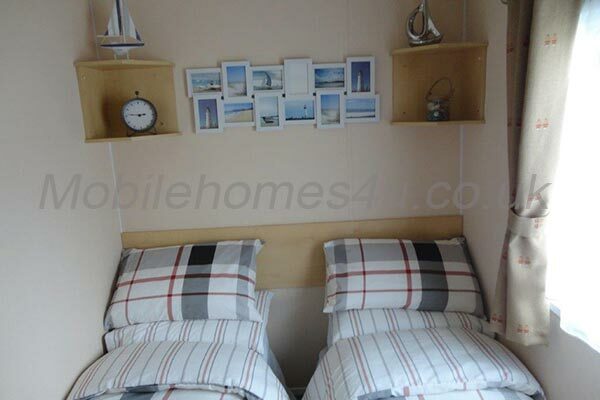 This caravan is privately owned and all we ask is that you treat it with respect; as you would your own home. 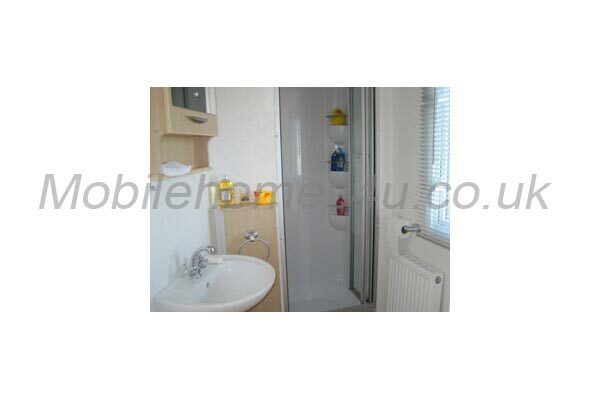 All cleaning materials, hoover, brushes, mop etc. are supplied. 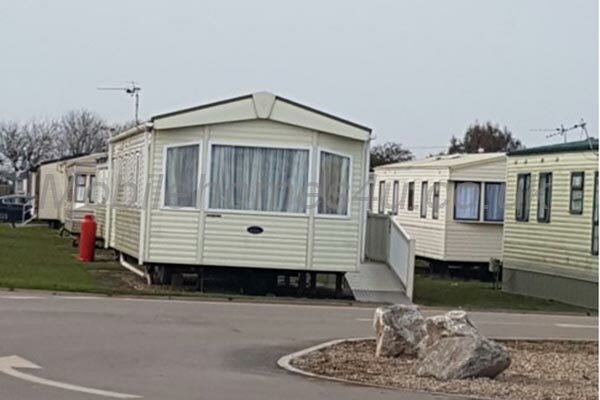 There will be a £100 per week non returnable Deposit and £75 Damage Deposit payable with the booking form, The Balance payable Eight Weeks before occupation of caravan. 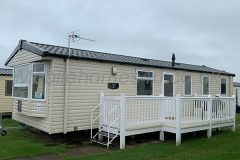 The £75 damage deposit will be returned within 14 days of your return or sooner upon satisfactory response from next tennant. 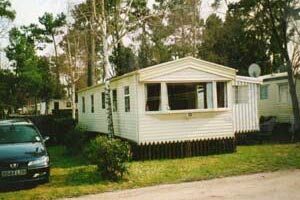 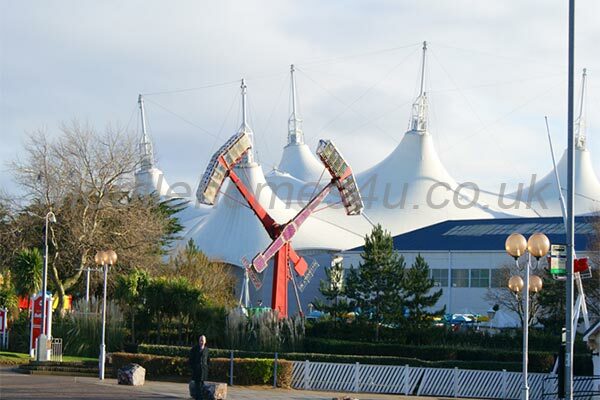 A Letter of confirmation will be sent to you on receipt of your final payment giving you check in details Keys to the caravan and other useful information regarding your stay in our French home, this will also include the code for the gate barrier to the park, this will all be sent by recorded delivery, I would appreciate the keys returned by the same method.